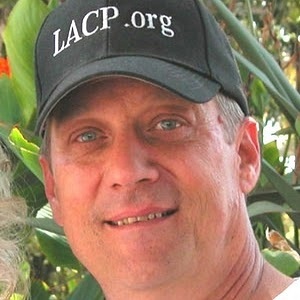 Bill Murray, survivor, public safety advocate, founder of National Association of Adult Survivors of Child Abuse (NAASCA.org), host of the Internet talk radio show “Stop Child Abuse Now” (BlogTalkRadio.com/Bill-Murray), and founder of ASCAA, a 12 Step recovery program for adult survivors of child abuse (ASCA12step.org), shared his story with RAACE. He was sexually abused for several years, starting when he was 11. he didn’t tell anyone, and internalized his fear, anger and shame. An introvert with a temper, he started doing badly in school and getting into trouble. He hated himself, and began drinking heavily as soon as he could get his hands on alcohol. Bill is convinced that children need and deserve the help of a community. Summary: Bill’s answer to the five questions! Listen to the full conversation on the player above; also available on iTunes and Stitcher. Hope for me is that comfort – the lack of calamity, there’s no sense of calamity. You deal with life and life’s terms. You don’t blow your own gasket. It’s really been a fellowship. It’s a group of people. It’s not a one individual thing. I was first abused at 11 years old. I was adopted into a family where I had the sense that they didn’t understand me and I knew why. It was because I was adopted. I wasn’t genetically there, so they were a little different genetically. I was a creative person dying to get out of myself. My parents were more like business people. I wanted to be on stage. They sent me off to a summer camp at 11 years old, I met a person who gave me that kind of attention who was a photographer. He showed me his dark room and his big Nikon cameras with the long lenses and all kinds of adapters and he printed all his pictures. I was in heaven, but he also turned out to be interested in me and he molested me. He was also the camp councilor for the swimming activities and I was a big swimmer. He did what [unclear 00:23:18] did in the shower when I was 11 – reached over my back and reached down and grabbed onto my groin. That was to continue for three years without my parents knowing. For three years I was the subject of his prepubescent pornographic photographs. Thousands and thousands of them and I went back a month at a time each year for the three years to the summer camp and at the end of which he would ask my parents if it was okay if I go on a vacation with him because he was going to take two weeks before he had to go back to the school year. He was a teacher in the school year and they knew him very well because he always talked about grooming. He had given them legitimate pictures of me on horseback and me with face paint of an Indian and being in a canoe and they said that’s a great idea. They let me go on a bus from Virginia up to the [unclear 00:23:18] in New York to spend two weeks visiting Expo 67 which was kind of a world’s fair back then. He met me on a station and the two weeks turned out to be a two weeks from hell. It was the first time he ever tried to get me to touch him or anybody else. He tried to share me with other couples and older men and a young boy. He took me to many places and I didn’t know where I was. He exposed himself to me for the first time. None of this had ever happened. I kept refusing to do anything and he got more and more upset and angry and frustrated until we finally did drive up the last night, he stood me in front of some of the habitat and some of the other exhibits, took a few pictures, took me on the bus and sent me home. I never told. I was brought so Catholic that I thought that the priesthood would be a possible option for me as a career. I asked my parents and they had allowed me to visit three different seminaries and I had selected one to go to as a high school student. I went 10 days later and when I got there, I kept the secret. One of the priest there asked me several times within the first month whether I had what he called homosexual experiences and I said no. The third time he asked me I went into his room I listened to him and I aggrieved and that’s when I gave him my story – all of it in a confession. He gave me absolution, he gave me some things to do and I thought my goodness thank God somebody helped me, but he turned out to be interested in me. A few days later he came on to me. He told another priest, he told another brother and all through my story it’s about they’re almost all priests and brothers, they were almost all clergy, but there was some lay people in there too who I was offered to a few times. It lasted from age 11 into high school. By the time I was a junior in high school, the last two years, I think I’d had a growth spurt and I was kinda ugly and I was pissed off and stronger, bigger, they left me more alone. I took that story with me to college where I drank like a fish. We have 30 different free programs and I want people to know this because they’re all geared to do this. We recommend the wearing of a blue ribbon, it’s the symbol of child abuse awareness. That’s an opportunity that when someone says “what’s the blue ribbon for?” to say I’m a person that share as an advocate for child abuse awareness and answer their questions. We think in terms of three basic legs of a stool – Prevention, Intervention and Recovery. The prepared adult will teach their kid or any children around them things like space privacy and body privacy and other prevention techniques that you teach a child. Intervention is an adult activity in which we learn what to look for in children who have possibly been traumatized in some way. Recovery is offering hope to the still suffering now adult survivor of child abuse. (3) Share your story and get in the community.